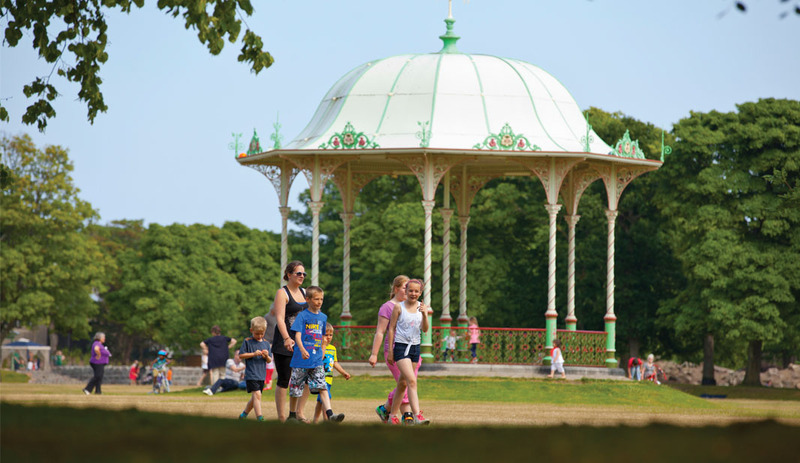 Aberdeen is a vibrant, historic city with a modern twist. Close to Scotland’s largest national park, it has a dramatic coastline, striking granite architecture and excellent road, rail and air links. This sparkling granite community, nestled between the River Dee and the River Don, dates back over 8,000 years. Today, with a population of 229,000 Aberdeen is Scotland’s third-largest city. Aberdeen reaps vast benefits from its connections to the fishing and energy industries. Such high levels of trade allow a consistently high standard of living. Sitting on the edge of the Cairngorms National Park, wildlife thrives amid the region’s dramatic landscapes; dolphins play along the coastline, and birds and deer inhabit the lush woodland and countryside. Nearby rolling hills, winding rivers and the North Sea offer a fantastic selection of outdoor pursuits including hillwalking, canoeing, kayaking and surfing. And winter needn’t be a time to stay indoors, with extensive ski and snowboarding facilities at Glenshee and the Lecht ski centres, which also offer mountain biking and downhill karting when the snow is gone. All major high street stores can be found within the city centre’s many enclosed shopping malls, making these the ideal escape from colder winter temperatures. Or for something more out of the ordinary, take a trip to the boutiques and designer shops in the city’s West End. Several local art galleries and museums provide the ideal way to while away an afternoon, yet as night falls, Aberdeen comes alive. From fast food to fine dining, Aberdeen’s restaurants cater to all tastes, whilst trendy bars, cinemas, theatres and music venues host a wide range of entertainment. 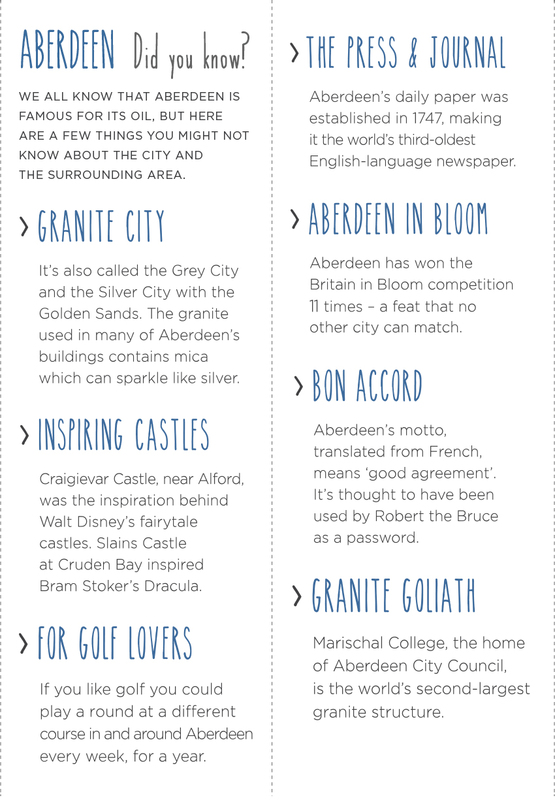 Aberdeen has something for everyone.